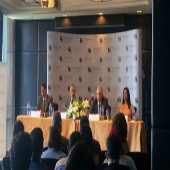 Cairo April 5th 2017, In light of the economic reform and the efforts of the Egyptian Financial Supervisory Authority (“EFSA”) in the development of the Egyptian Capital Market and the launch of new investment tools, Naeem Holding for Investments (“NAEEM”) announces the launch of the first Real Estate Fund ( “The Fund”) licensed by EFSA , in the amount of EGP One Billion. The Fund shall put forth attractive, yet affordable investment opportunities for retail and institutional investors in rental yielding Commercial and Office Space buildings. The Fund has already entered in agreements with Target assets and Investments and is still actively pursuing other investment opportunities, targeting an annual internal rate of return of 26% on invested capital. NAEEM is currently in discussion with institutional and qualified investors to enter into definitive subscription agreements for the Fund private placement phase. NAEEM shall announce soon the starting date of Public Subscription Period in the Fund. The Fund is a closed-ended fund with duration of three years, extendable for two years. NAEEM intends to list the fund on the Egyptian Stock Exchange to create more liquidity and ease of exit for subscribers post closure of public subscription period. NAEEM Holding for Investments NAEEM Holding is a full-fledged investment bank with total investments in excess of US $ 300 million, and a diversified and homogeneous shareholders structure from Egypt and the Gulf. NAEEM is planning to launch several investment instruments in 2017 and 2018 in Egypt and the Gulf UAE, as well as studying the Double listing opportunities for local investment funds on the UAE Stock Exchanges. This in addition to NAEEM’s investments in medium-term projects that will create jobs in the local market and fill demand gaps on some strategic commodities, namely NAEEM’s USD 150 Million investment in the fructose manufacturing facility in Egypt.